WHAT? WHO? HOW? AND WHERE? The Nomadic Academy for Fools is the chance to explore in depth what it means to work with your inner Fool and infect your whole life with its presence. It´s about holding, saving and traveling with and towards your Fool. It supports new beginnings that can sometimes make us tremble at their great prospects. Lives are a dance with all those around us: those with whom we celebrate our lives together whilst here on Earth. The NOA is an invisible college, whose pupils (the Beginners) are in our own eyes. It’s a place we begin to look, see, be, fly and ultimately begin to heal our own secret, sacred, scared and scarred selves. Guided by JK and professional Fools, NOA`s students will be facilitating, traveling and performing all over Europe. In each place, the NOA resides for two weeks. In the first week, Jonathan Kay will work with the NOA-Students. 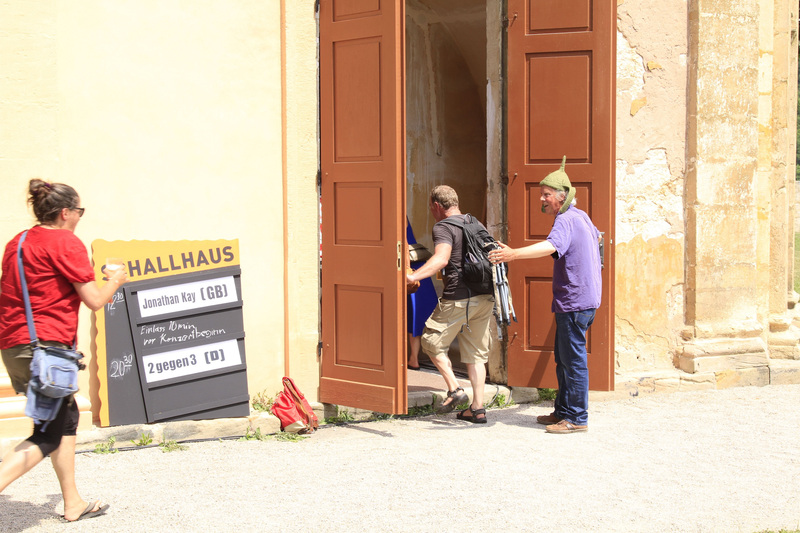 In the second week, another experienced Fool will continue the work in different ways: towards a performance in a local social or cultural institution; exploring the environment embodying your Fool; in depth work with the structure; etc. – Workshops and Performances will be open to local people. We are really happy to gather such a wonderful group of people: Here we will introduce you to the NOA-FACILITATORS. Apart from being fully engaged with NOA by practicing and performing, NOA students will contribute ‘in kind’ by organising and promoting workshops & performances. Each student will be responsible for one location. In this way the students not only explore their artistic and intuitive selves, but also their organisational skills, which is the other side of the coin. When you are moving forward in your inner and outer life you have to deal with both sides. This cooperative work turns the NOA into a perpetual space: people that join the NOA for a workshop will be invited to travel as part of the NOA in the following year and can, in the long run, become facilitators in the NOA. 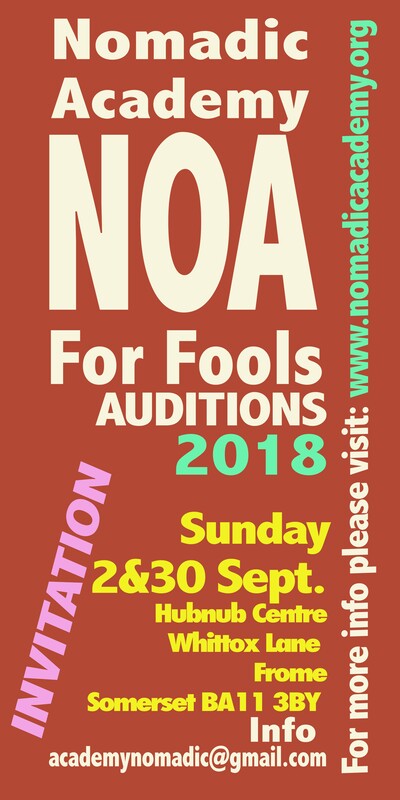 Please come along to the NOA Audition! For more detailed info, please contact us.